Mark Lanegan possesses a haunted baritone that is surely a gift from whatever being bestows musical talent, but the man is also fortunate enough to be one of the most darkly charismatic performers in rock. Need proof? 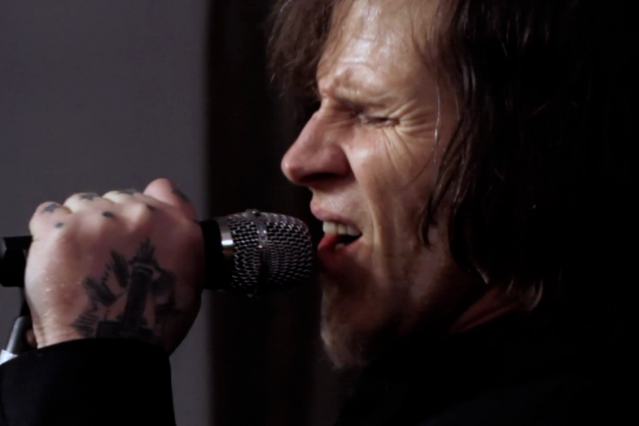 Check out this footage of Lanegan and his band performing the haunting Spaghetti Western ballad “St. Louis Elegy” from this year’s intense Blues Funeral. The intense footage was filmed at Pull Studios in Manhattan during rehearsals earlier this year. If you look like what you see, check out the full session and make sure to check out the band on its Spring tour, which kicks off May 10 in New York City.